It’s no secret that BONES star David Boreanaz (Booth) is a full-time cast member for the show’s 11th season, so it’s with only the very slightest of spoiler warnings that I give you photos from the third episode of the season. As you may know, the first two episodes of BONES’ newest season focus on the search for a MIA Booth. 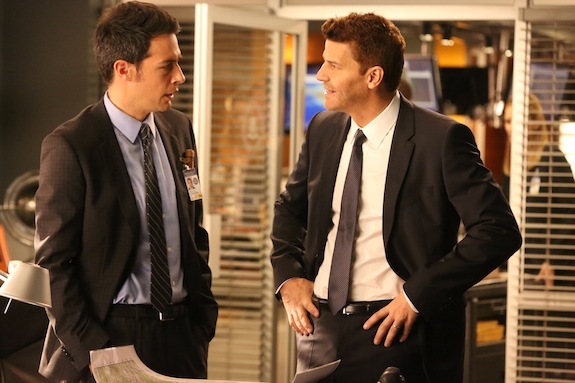 But by episode 3, things are (seemingly) back to normal, with Booth and Brennan investigating a case.